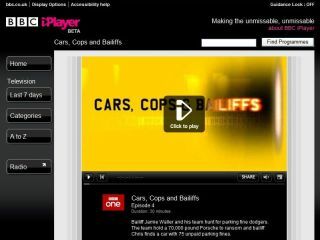 Would you pay £3 a month for BBC iPlayer? In the same week that BT has asked the likes of the BBC and Google to cough up for their VOD services, media regulator Ofcom has done some sums to see how much it could cost the general public to help the ISPs upgrade their networks to cope with demand. What Satellite has noted that the report states: "In the case of extreme traffic demands, the costs to upgrade core networks might be in the region of £1-£3 per household per month on top of existing subscriptions." Ofcom believes, however, that this is an "acceptable" increase, "Given the increase in value of data consumed in the home." The report also warns of bottlenecking in networks due to the popularity of VOD over the internet. It states: "In many case these backhaul networks are running at close to their maximum capacity. Consequently this part of the network may currently be a bottleneck for some of the video services." The report can be found at http://www.ofcom.org.uk/research, under the title 'Converged Communications in Tomorrow's World'. Be warned, there are some 91 pages to wade through. In fact, by the time you have finished, you'll probably be paying £5 a month for iPlayer 2.0.